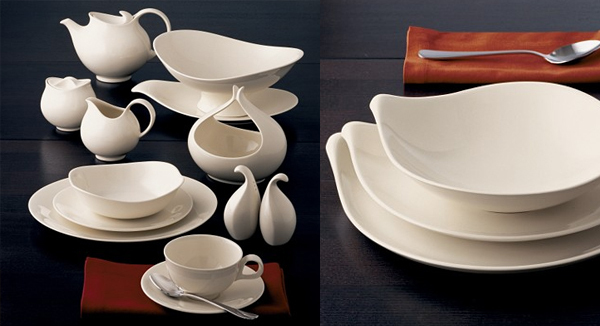 American Ceramics introduced me to the work of Eva Zeisel whose work is now being reproduced and sold at Crate & Barrel. Her original pieces are quite expensive and these reproductions are an affordable alternative. Would you just LOOK at that gravy boat! Lovely stuff. The full collection available at Crate & Barrel, 5-piece place setting, $69.80.